Despite criticisms that he is failing at his job to keep the country clean, the Minister for Resources & Sanitation is confident of proving his detractors wrong, promising a major improvement in the sanitation condition in Accra soon. Kofi Adda says Nana Akufo-Addo’s promise to make the capital city the cleanest in Africa is on course and has revealed a plan has already been mapped for implementation. “We have just concluded the implementation plan and the allocation of the resources that have been pledged by the President. We are waiting for news from the Finance Ministry to begin to move on. That is where we are now. 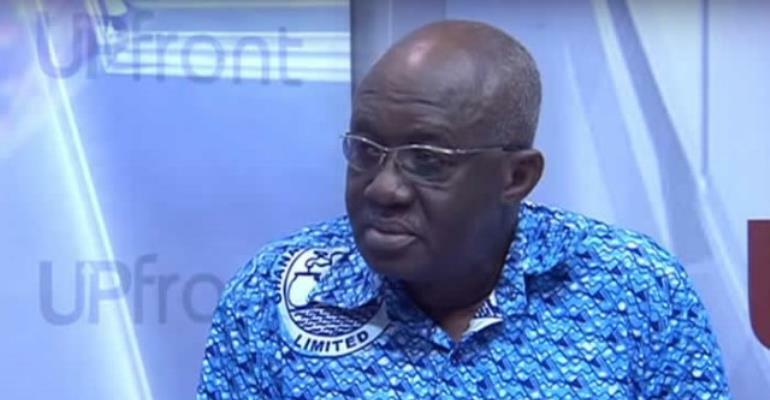 We have sensitised everybody to get them ready in order to move along,” he said in an interview on current affairs programme, Upfront, on the Joy News channel on MultiTV, Wednesday. Mr Adda has been fending off public criticism for allegedly sleeping on the job while many parts of the city are engulfed with filth. With calls for the President to replace him during an impending reshuffle, Mr Adda, who is also the MP for Navrongo, recently discounted the suggestion on grounds that he has performed well. Answering a question posed to him by the host of the Upfront about the feasibility of Akufo-Addo’s bold declaration to make the capital city the cleanest in Africa before the end of his first term , the Minister made an equally bold declaration, promising to show evidence of his competence by end of June this year. “We are still on course and I still stand by my statement that by June we will see a remarkable difference in the way sanitation is handled in this country. We will see some very clean spots all over the place. We will see everybody gearing up on what they should do to assist in that effort to clean the city and the country. So we are very much on course and I convinced that we will deliver,” he told show host Raymond Acquah. He stated that he is set to meet the Finance Minister, Ken Ofori-Atta, for logistics and resource allocation for the start of a nationwide campaign to rid the country of filth and other unsanitary conditions. Sanitation remains prominent on the President's priority list, however, implementation of a credible policy to clear piles of rubbish at markets or desilt choked gutters remain elusive. Presenting the State of the Nation Address recently, the President promised to spend GH¢200 million to improve sanitation in the country. “Apart from the efforts being made to resolve the legacy of debt in the sector, government will spend 200 million cedis to address the issue of sanitation,” the President had assured. Wednesday's edition of Upfront also delved into other topical sanitation-focused issues. Watch the full show below.